Breeding Guppies and the other three most popular Livebearer fishes (Mollies, Platys and Swordtails) are great fishes to start with, as they are hardy and easy to breed. The most fascinating thing about Guppies and Livebearer fish is that the fry are able to swim immediately after birth. 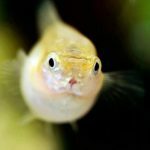 It is especially important that the fry have somewhere to hide within their first seconds of life because the parents or other fish in the tank will try to eat them as soon as they spot them. For most aquarium hobbyists, their first experience with fry (baby fish) is often through Livebearers. They are usually able to breed without any special living conditions. Depending on water conditions, temperature, and diet some Livebearers can have offspring as often as every four to eight weeks. Keep in mind the type of fish you want to breed, the fish’s coloring, and the shape of their tails. If you choose two similar color fish to breed, their fry will end up with similar color as their parents. The same principle applies for the Guppy’s fin shape. Be sure to have a ratio of one male to at least three (or more) female Guppies or Livebearer fishes in an aquarium tank. Otherwise the male will constantly chase and stress the female Guppy or Livebearer fish. With a one to three ratio, the male’s attention is split between three females, making breeding a less stressful process for the females. 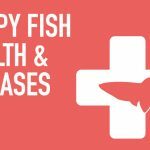 A stressed out Guppy or Livebearer fish can catch diseases very easily if their immune system to fight off disease is down. You can breed your Guppies and other Livebearer fishes in either a selective or community tank. Breeding fish selectively allows more control over the conditions on how a they will turn out by selecting the appearance like color and fins of the male and female fish. However, selectively breeding a certain type of fish would obviously take up more space since you need to setup a separate tank just for breeding. Breeding fishes in the community tanks can be an unpredictable awarding process as you won’t know how the fry will turn out until they are born or even until they’re older when their color starts to show. Their appearances might end up being a fun combination that has different traits from their parents. However the end result might also not be the result that you like from the mixing. 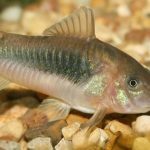 Guppies and the other three most popular Livebearers fish (Mollies, Platys and Swordtails) are fairly easy fishes to breed since they often breed without any requirements. Setup the tank according to their natural habitat. A Guppy’s aquarium tank’s water temperature should be between 75-79°F (24-26°C) and the water condition should be pH 5.5-8.5; 15-40°dH. 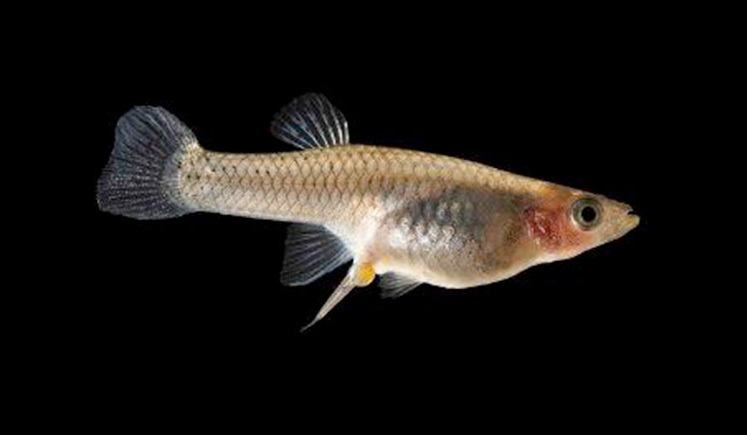 Female Guppies can store sperm for up to three months so she could potentially be pregnant three times from one mating session. This is an important factor to consider if you’re trying to selectively breed them. When any female Guppy or Livebearer fish is pregnant, you’ll notice that she will develop a large round belly. The dark patch near the back of her belly called the “gravid spot”, will become larger as the birth date moves closer. They can give birth to anywhere between 20-200 Guppy fry per spawn depending on her age and size. Avoid stressing out a pregnant fish as this might cause her to give birth prematurely or even resulting in a miscarriage. Fry who are born prematurely often don’t survive. While it is exciting to know that your fishes will become parents within days, you need to remember that Guppies and other Livebearer fish will eat their fry right after they are born! So it’s important that you setup hiding spots for your fry so they can escape from being eaten by their parents or other tank mates. 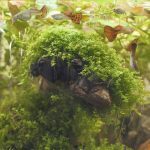 Plants like Java Moss, Duckweed, Hornwort, Watersprite or any plants that has a dense amount of leaves will be able to provide hiding spots for the fry. The algae on these plants will also serve as temporary food for the fry right after they’re born. 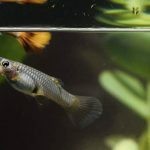 Read through our Top 10 Aquarium Plants for Guppies article for some live plant suggestions for your Guppy’s Aquarium Tank. If you don’t like having live plants, plastic plants can work great as hiding spots too. You can also create small cracks with some piles of rocks for them to hide in. Any aquarium tank decorations where the fry can enter in but the adult-sized fish can’t will work as hiding spots. Only use air-pump sponge-filter when you’re expecting fry in your aquarium tank otherwise your fry might get hurt. Fry are not strong enough to swim away from strong filters. Alternatively, you can also setup a breeding box in a separate breeding tank that allows the fry to be isolated from their mother right after they are born. This allows your fry to have the highest survival chance since the mother can’t swim past the cage to eat them.If you are using the breeding box or breeding tank method, the female should be taken away from the main aquarium tank about a week before she is due to give birth. Right after the fry is born they will be hungry and start searching for food, you can feed the fry Brine Shrimp hatch-lings, liquid or powered fish fry food and/or or quality flake food (just ground them into smaller pieces with your fingers). Try not to give more than they can eat within 15 minutes. If there is any leftover food, remove any left over food so it doesn’t pollute the aquarium tank’s water. Besides processed fish foods like flake food or pellets, you should provide them with live food once a week since it provides them with more nutrients and they have to work hard for it! You can also try feeding guppies vegetables since guppies are omnivorous so they need to eat meat and plants. Feed the fry small amounts several times a day. If you want them to grow up faster, you can even feed them up to six times a day. Maintain good water quality by performing regular water changes. You can pour water from your established aquarium tank into your fry / juvenile fish’s aquarium tank so they will acclimate the fry / juvenile fish to water conditions of their future home. Within 4 to 6 weeks, the fishes should be large enough to release back into the main aquarium. As long as they are larger than the mouths of adult fish then they won’t be eaten. If it’s not possible to set up a separate aquarium tank then setting up drop-in breeders or tank separators will also work. 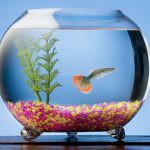 Even relatively new aquarium hobbyist can start their own breeding projects with the four most popular Livebearer fish, Guppies, Mollies, Platys and Swordtails with not much experience once they get feeding, water changes and filter maintenance down.